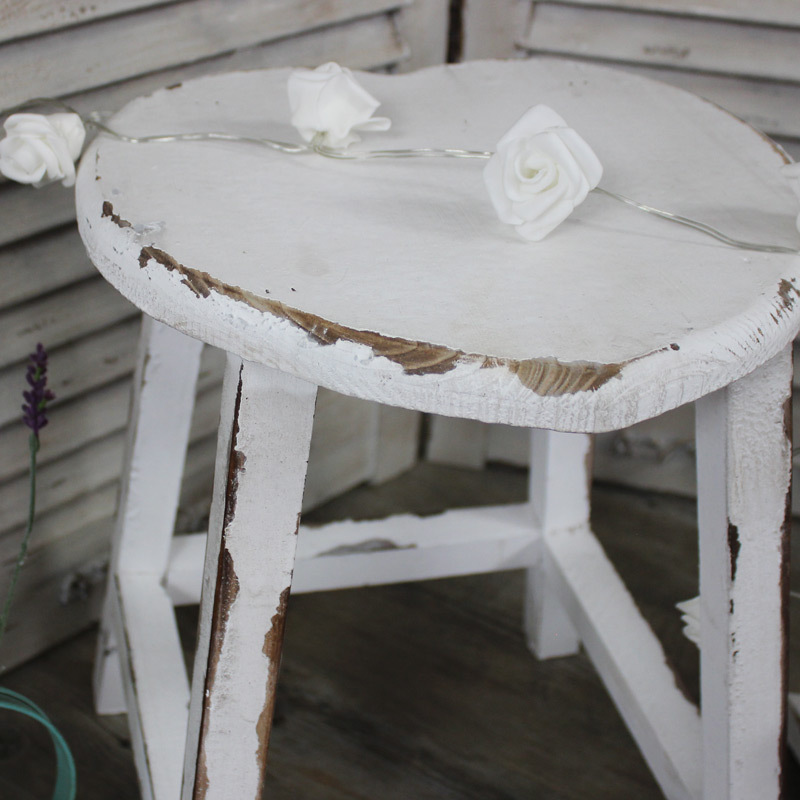 From the homeware collection, this Set of 2 wooden Stools has been painted white and given a distressed finish. 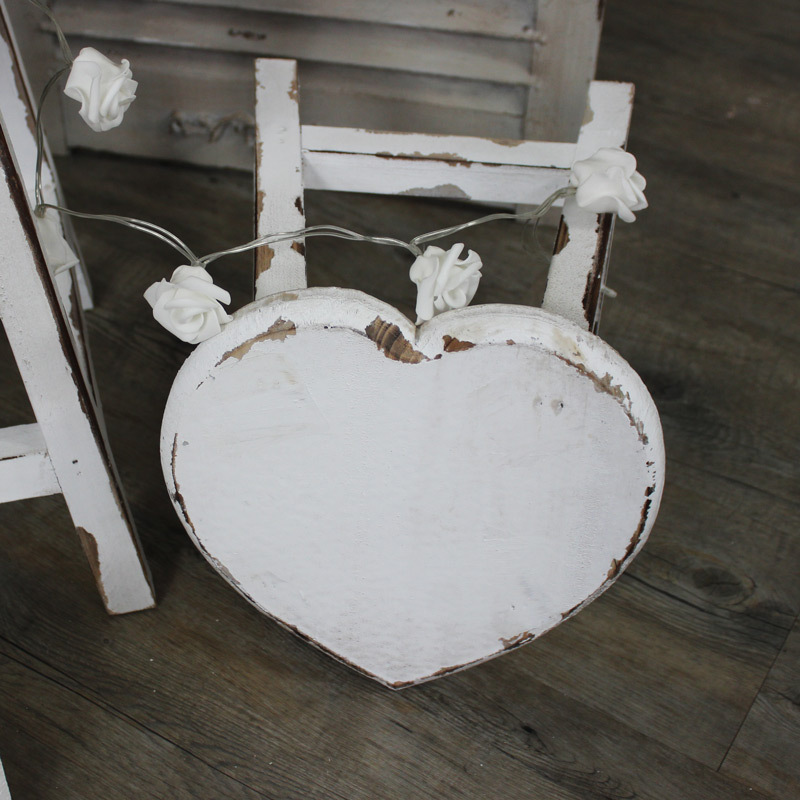 The tops are heart shaped, and the sturdy legs have stretchers. 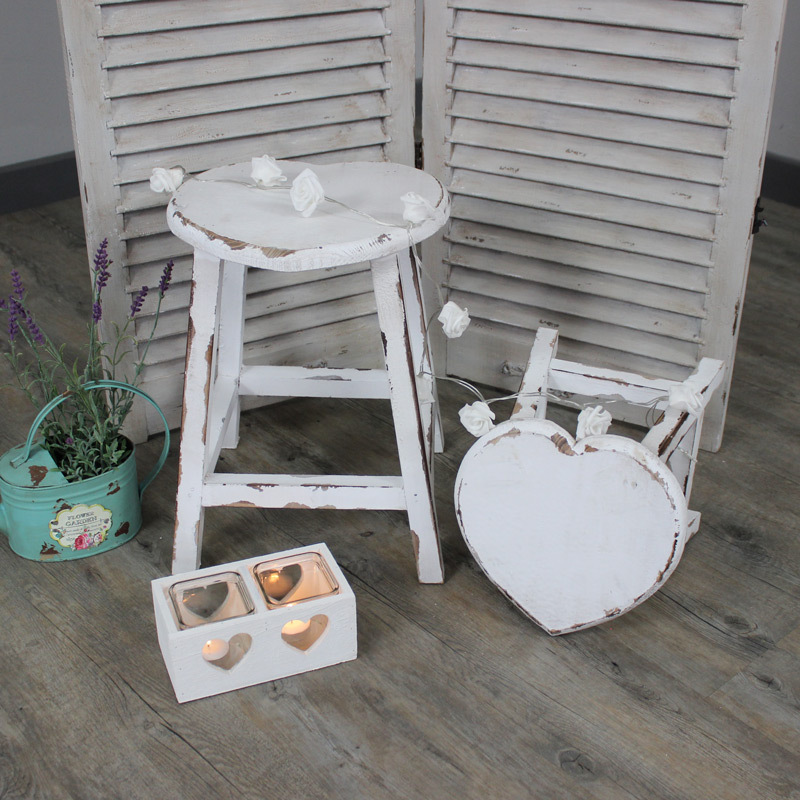 They are stackable and would look great in a country kitchen setting. 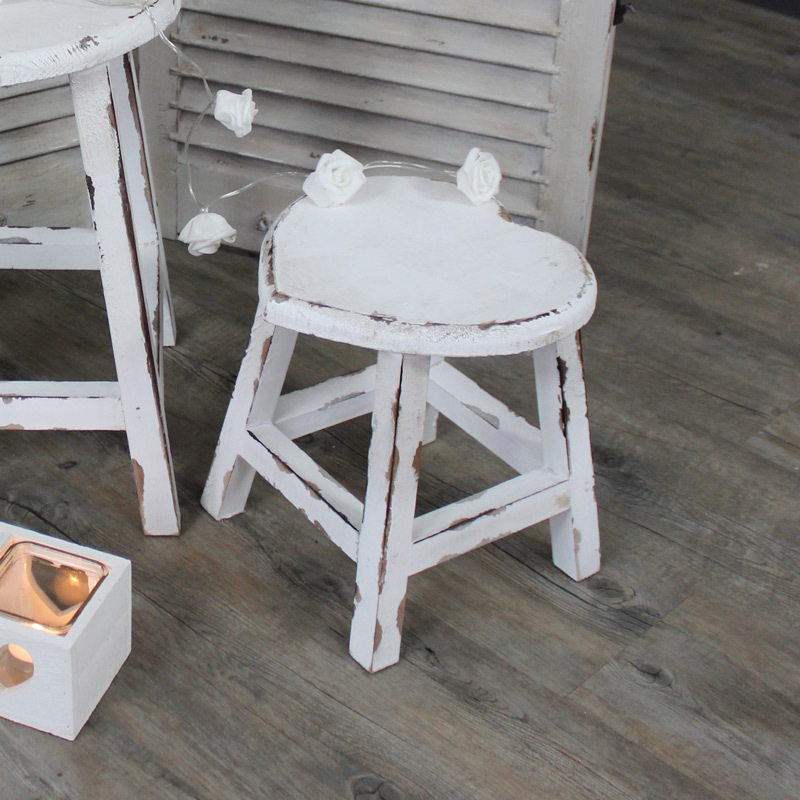 The larger stool's dimensions are 30 cm x 40 cm x 30 cm (width x height x length) with the smaller one measuring 24 cm for all dimensions.